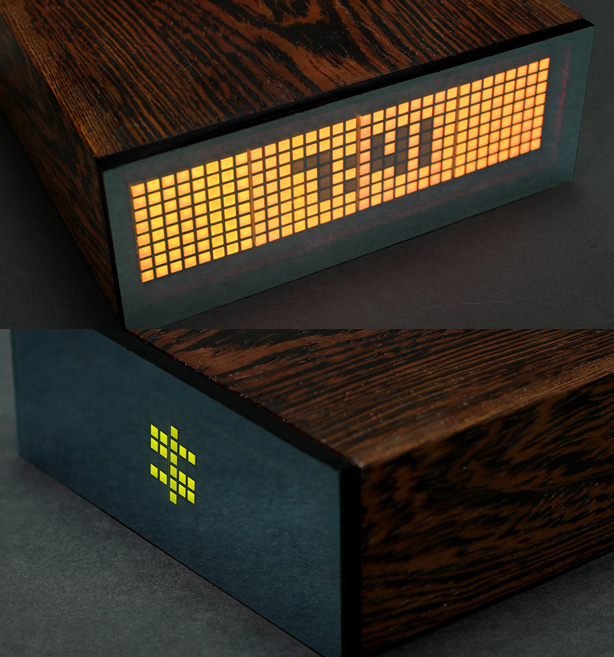 World's Worst Alarm Clock Could Actually Be The Best | OhGizmo! By David Ponce on 11/06/13 • Leave a comment! Alarm clocks are supposed to wake you up. But depending on where you stand in life, the ALARMclock can either also fill your day with a sense of delight and motivation, or just depress you to death. See, when you first set it up you’re supposed to enter a wealth of information onto its related application. That data involves passwords to your social networks, bank accounts, investments and anything else you chose to provide it. Then you determine which one of these datasets it displays to you as you waken. Want to know how many days you have left to live? It’ll display that, based on a calculation centered on your current age, lifestyle, diet, family history, etc. What about how many friends you have? It can display that too since you gave it access. The options are almost endless and easily configurable through a website. It sounds silly right off the bat, but there can be situations where you’d want to know a particular thing the minute your eyes are open. Or maybe a specific type of information can motivate you to get out of bed. Whatever the case, it’s nice to know that a product exists that’s able to do this, if this is what you’re into. An $85 pledge will get you yours.